Inside are questions: Are you worried about attachment? Does your child ask “why was I given up”? 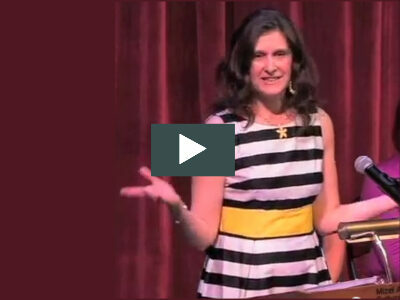 Is your child experiencing anger, depression, mood swings, isolation? Also included are explanations of service: assessments, child counseling, family therapy, youth support groups. More info (Oregon and Washington). I suspect there are countless other dots, a rising number of adoptive families saying, “We need help. We thought we were done with adoption but it’s not done with us.” In response, organizations like these are acknowledging and addressing such needs. And I’ve been tending Amy’s recent guest post and the ensuing discussion, which confirm what adoptees and birth parents have been saying for years — adoption isn’t a discrete event, like some adoptive parents may have thought, may have wished. It’s an ongoing, lifelong process that may, on occasion, need to be attuned to. We almost went with Open Adoption & Family Services and I really like their model, specifically because of the ongoing counseling services and their emphasis on the fact that adoption is more than simply placing a child. Amy’s post has generated a lot of thoughtful discussion and I’m really glad that she took the time to not only share her story but also respond to all the comments. I really hope that she continues to share her view points and that this encourages more birth parents to come forward and join the discussion. But you are ultimately right. Adoption is more than just a one-time event. And I think infertility is the same. There are no quick fixes, as much as people would like to believe there are. And we’re long overdue for talking about them openly. This post really hit home for me. We are still in the adoption waiting period but one thing we have really come to understand is that our decision to adopt will literally last at least a few lifetimes – our child’s lifetime, our lifetime and the birth families lifetime. We’ve made decisions about how we will adopt to help support our future child and the birth family. For example we will only work with agencies/lawyers that offer lifetime counseling to birth parents because we realize the consequences of adoption will be life long for them. And, while the potential complexities of open adoption scared us at one time (and at times still does), we know it’s best for our child and therefore we are choosing open adoption because we believe it’s best for everyone, especially our child, in the long run. And really, what matter most is the well-being of the child. So true and some folks are starting to “get” it. But not enough and not fast enough. 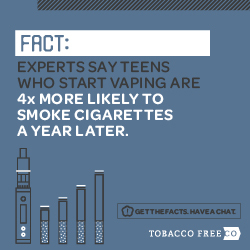 We must spread the word and we must voice our experience. Lori, thank you for being such a passionte leader on the vanguard! The last guest post really touched my heart as well and I’m still thinking about it. It’s such an important point to think about before entering into adoption. I’m glad agencies are catching up and offering long-term services. I wish my niece, who is a birth mom, had counseling available to her. I’m sure she would still have her grief (especially since her mother was not very supportive of her giving up her baby), but I think she would have done a lot better if she’d had it available. Thanks for a good post and some good resources. Don’t you think she should have her child back, instead of counseling? I love this post… it’s true, and I’m glad that my agency is also among those who believe in open adoption and counseling well beyond the “single event” of adoption in terms of the signing of papers and whatnot. One thing that drew us to them was that they provide ongoing counseling to birthmothers and birthfamilies, to the child, and to the adoptive parents… pretty much forever. They are there for questions of identity, they are there for working through any issues that may arise in the open adoption relationship, and they are there for ALL PARTIES INVOLVED. So important. I love the message of this post! And heaven forbid, if anyone insinuated that adoptees had “issues”…hang on tight…a fight would ensue. They did NOT want to hear it, and we had many a vicious debate over the book “Primal Wound.” This was merely 16 or17 years ago. To be fair, there were several vocal amoms who listened with an open mind, and a few would admit to encountering some difficulties with the common adoptee issues. But those were few and far between. It seems that acknowledging potential problems/issues with adopted people is relatively recent. I’m glad to know that there are some agencies who are stepping up and offering help. The agency I used, although claiming to offer life-long counseling to (birth)moms, was quite unhappy when I showed up about 16 years ago. Before they’d even speak with me, they made me sign a paper promising not to sue them for anything I might be told concerning what was in my file. I did, because what they took from me, money could not fix. Anyway, I highly doubt they’d be helpful to any adoptees showing up needing counseling either. I’m sure they’d be made to sign the same paper I did. Their compassion and honesty was underwhelming. Thanks for letting me talk! That’s great to hear! The more that message gets out the better it is for everyone. While I don’t have personal experience in my immediate family, I have a college friend who went through hell when her biological mother ignored her wishes, and repeatedly tried to contact her, and introduce her to her half-siblings. From my perspective, I could see how much hurt there was on both sides. But back then (early 90s), if there was help available, my friend couldn’t find it. I’m glad to hear the system is catching up. Great issue to address, Lori. I had an adoptive mother ask me if I experienced more problems with my adopted children than my birthed. I said, “No.” Actually, I’ve had some major problems with my birth child I didn’t see in my adopted children. Then I met MY birth family, and understood that my birthed child is second generation adopted. 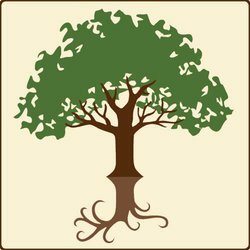 Had I known my roots my birth child may have never experienced some of the problems encountered in life. Many of the choices we make in life are based upon experience with family. Things that didn’t have a drastic effect on my adoptive family had a major effect on mine, and vice versa. Adoption touches generations of people, and in many cases not positive. The ripples in the water can be more like tidal waves. There needs to be far more training for adoptive parents and birth parents prior to adoption – hundreds of hours. Currently, only a few agencies offer trauma counseling for adoptees after finalization, but they only have a few slots for the state’s adoption insurance; they want private insurance and charge expensive rates. When adoptees claim adoption’s all about the money, the agencies call them anti-adoption or angry adoptees, and many adoptive parents climb on the band wagon. I guess many APs take it personal, like a failure, if their adopted child struggles with all the losses. It’s a failure if you don’t acknowledge it. Thanks Lori. Another great column. I think it’s great that there are services for people involved in adoption. But I think it needs to be said that the “problems” of adoption can mask other problems—and if a person is clumsy (how that relates to adoption I don’t know but it did to my “progressive agency and therapists in the early 1960’s) has LD’s, ADHD or ADD, anxiety and more those problems should be checked out in a comprehensive neuro–psychological exam. I’m not disagreeing with life long counseling—I could have used a true adoption specialist after I met my birth mother in the 1980’s. But somebody who understood that I had neurological issues would have been much more helpful to me earlier. I hope your message gets though to whoever created PAL (Positive Adoption Language) and they delete/change the positive “was” and negative “is”. As long as that exists in PAL and is promoted by agencies, people new to adoption will treat it just like gospel, partly because *they* need it to be a one-time event. Until that is fixed the cycle will continue. 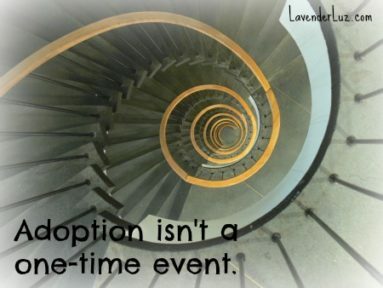 Instead it needs to be clearly stated that while *the actual adoption* is a one time legal event, being adopted is ongoing experience throughout your lifetime. Adoption is a life long process. As an adoptive mom and a professional counselor, I get to speak with many famikies,adoptees, and birth mom’s. 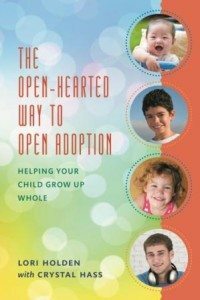 Open adoption is healthy for all but counseling support should always be available. I love my agency! We offer life long support for all families. We are committed to them like family! Thanks New Life Adoptions…you rock! Those are some mighty strong words. I wonder if the people who spoke them really understand what they have said. The obvious recipients of this lifelong counseling would be adoptees, adoptive parents, and birth parents. What about the children of adoptees? Does it also nclude “kept” kids? Does it include other family members such as aunts/ uncles, grandparents, etc? And, what will the counseling aim to achieve? That the collective “we” are all OK with adoption? Or will it truly attempt to personalize answers to individual situations? Who/what is going to fund these efforts? Will the future expense be incurred at the finalization of an adoption? Charged only to those who take advantage of it? Or will it be expensed only in the moment? Do we currently have enough professionals to address the lifelong needs of all? If no, where will we find the professionals do so? I would love to see someone, who has the answers, reply to Torrejon’s questions. How DO you counsel, to healing, the ‘placed’ for adoption child of an adoptee who was lost to adoption by a mother who is the child of an adoptee? Truly, how do you mend all of that? Open up the records (to those they pertain to) and many of the issues for adult adoptees and their succeeding generations will disappear with removal of the secrecy and misinformation and outright lies. We will have knowledge of OUR tribe. To whom we belong and came from. We ought to be able to legally claim our name and heritage, IF we so choose. grandmother of a child three times removed from their heritage/family/tribe. If I had ‘choice’ none of the latter would have occurred. I strongly believe from information I have found, that “choice was not there for my grandmother either. Oh, so great is the desire to know, the line of succession of the soil of this earth, from which we came. Some people ask, “Why is it so important to you? Why does it matter?” I ask them, “Is it important or does it matter to you?” If the answer is no. I would ask, “Why is it not important to you?” Why does it not matter to you?” (maybe because they know and have answers?) and one last question, “Why is it so important to dictate to adoptees and their descendants that their heritage / family /tribe is not important and doesn’t matter? I’d say something is very broken with a practice where all the parties NEED lifelong counseling available to get through it.